Sarah J. Maas expertly plays the last hand of her thrilling Throne of Glass series, as readers finally find out who will rise and who fall in the final roll of the dice. With Aelin imprisoned, Aedion and Lysandra are the last line of defence keeping Terrasen from utter destruction. But even the many allies they've gathered to battle Erawan's hordes might not be enough to save the kingdom. 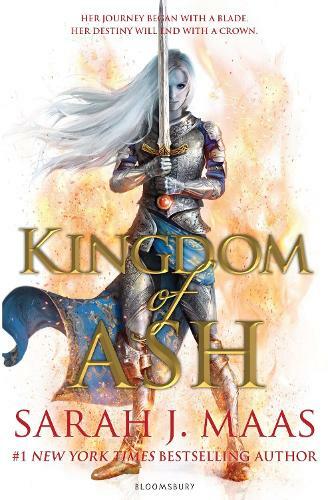 Years in the making, Kingdom of Ash is the unforgettable conclusion to Sarah J. Maas's #1 New York Times bestselling Throne of Glass series. Not suitable for young readers.